Dehydration occurs when a lot of body fluids are lost and there isn’t enough water or other fluids remaining in the body to enable it to carry on its normal functions. The most common causes of dehydration are excessive sweating, fever, vomiting and diarrhea. One can also become dehydrated if one does not drink sufficient water during hot weather or when exercising strenuously. Though anyone can become dehydrated, young children and the elderly or people with chronic illnesses are at a greater risk. Dehydration can cause dry and sticky mouth, fatigue, sleepiness, lethargy, uncommon thirst, decreased urine output, severe headache, dry skin, constipation and no tears when crying. Severe dehydration causes a rapid pulse and a rapid heart beat, sunken eyes, lack of sweating, low blood pressure, very little urine and yellow colored urine, shriveled and dry skin and fever. You should drink plenty of water to prevent dehydration and to replace the lost fluids. Drink ten to twelve glasses of water everyday. Water will not only keep the body well hydrated but it will also flush out all the harmful toxins from the body and keep it in good functioning order. Water also keeps the urinary tract and the digestive tract clean and in good functioning order. In addition to this, you should stop drinking alcohol altogether. Coconut water is full of valuable nutrients and has powerful antibacterial, antiviral, antimicrobial and antioxidant properties. 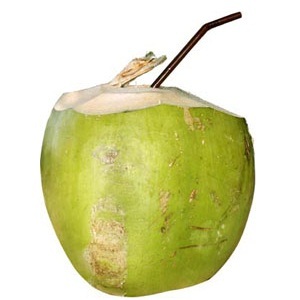 Drinking two glasses of tender coconut water daily, is a very good way of preventing dehydration. It also provides more than adequate amounts of electrolytes to the body and keeps it in excellent health by flushing out all the harmful toxins and pathogens from it. Coconut water can also sustain the body’s energy levels and remove any sign of weakness or fatigue. You should drink two glasses of freshly squeezed fruit juices daily. Fruits are full of antioxidants and contain huge amounts of key vitamins and minerals which not only provide the body with strength and vigor but also keep all its processes in good functioning order. You can even eat fruits like watermelon, papaya, musk melon and other similar fruits that have a large water content. 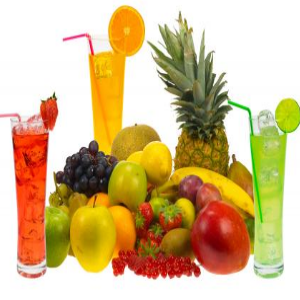 At the first sign of illness or any other indisposition start drinking plenty of liquids and fruit juices to prevent dehydration. Green tea will not only prevent dehydration but it will also keep the body strong and healthy. Its powerful antioxidants can address a wide range of diseases and disorders and cure infections. Boil a cup of water and steep one teaspoon of green tea into it for ten minutes. Strain the tea and drink three to four cups of it on a regular basis. You should drink two or three glasses of buttermilk everyday especially during the hot summer months. This nourishing beverage has multitudinous benefits for the body and keeps it well hydrated. It not only aids digestion and addresses all types of gastric disorders but it also keeps the urinary tract functioning well and prevents infection.